For Film or Digital cameras. For Film cameras, to be used with Infrared Color and Black&White films. This filter is equivalent to the Kodak 89B written filter with a spectrum transmission of 50% at 720 nm. 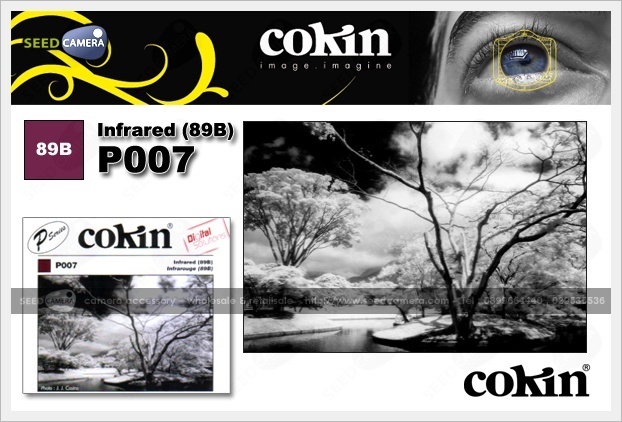 The distinctive feature of Infrared filters is that they ?filter? most of the visible rays and let infrared rays go so as to produce spectacular photographic effects. The process in Digital is really easy: once the picture is shot, you must ?un-saturate? your image on your computer, in other words transfer it to grey levels.